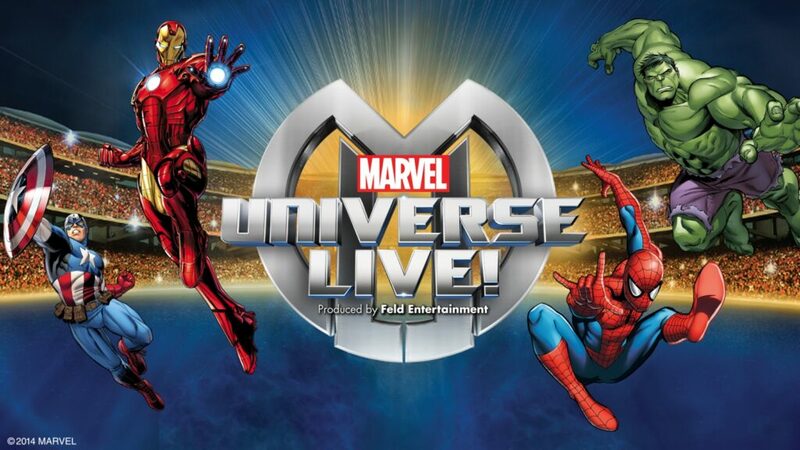 Superheroes and villains will come to life in the spectacular Marvel Universe LIVE! show at Glasgow’s SSE Hydro Arena! Marcel Universe Live! is coming to Glasgow’s SSE Hydro Arena for 6 amazing performances between the 4th and 8th of January 2017! Marvel Universe LIVE! is coming to the UK for the first time and promises to be ‘an epic show unlike anything seen before’. Children will see their favourite superheroes and villains come to life in a live action family show coming to Glasgow, featuring Captain America, Spider-Man, The Hulk and Iron Man amongst others! Audiences will be able to watch some of their favourite characters step out of the silver screen and onto the stage – bringing the action to life right before their eyes. Feld Entertainment – the creative team behind arena spectaculars including as Disney On Ice, has already entertained more than two million families with the show in over 65 US cities. Now its second tour is coming to six major UK cities and will stop off in Glasgow in January 2017 – with pre-sale tickets available from Thursday. Spider-Man, Iron Man, Hulk, Thor, Black Widow and more will battle Loki and Marvel’s most sinister villains in the live, action-packed arena performance for the whole family. It’s being hailed as ‘the most technically advanced live show ever’, with cutting-edge special effects, pyrotechnics, aerial stunts, martial arts, motorcycles and more. The set includes innovative lighting design, transformative 3D projection, 21 projectors, the largest flying system ever used for a live arena tour and the debut of a new Spotlight Tracking System. This is a show not to miss! Make sure you get your tickets soon!